When you turn off the Wii U, continue the fun of Nintendo's popular Splatoon video game with this Splatoon Inkling Boy Blue 9-Inch Plush. This Inkling is armed for battle with her ink gun in hand! 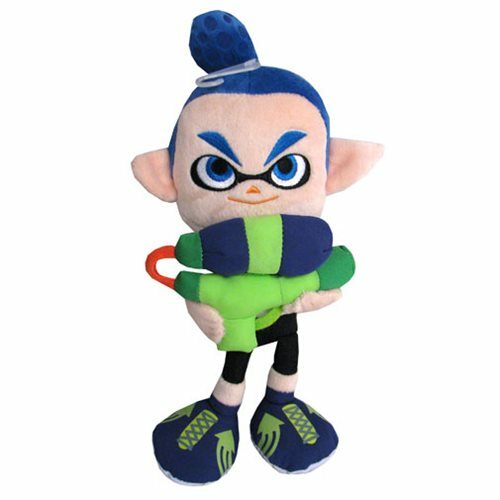 Show your team pride with the Splatoon Inkling Boy Blue 9-Inch Plush. Ages 7 and up.